One day Andria Alefhi looked at a PopTart box and thought "that would make a cool clock." And it did. Nowadays Andria makes clocks from postcards, book covers, coasters, and photos, as well as from the occasional canned meat container. But more on that later. 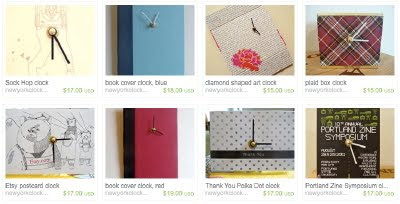 She sells her everyday-object-into-functional-art clocks from the Etsy shop NewYorkClocks. What interests Andria about clocks is not so much the mechanics, but the possibilities. Ordinary objects are transformed into something not only essential and functional, but pleasing. There's a resonance that happens from both the function of her clocks -- to mark time, to keep track of how a day passes -- and in the objects themselves and the memories they evoke through pop-culture references and familiarity. Which makes sense, given that Andria was originally inspired by a clock that belonged to her mother and has become a treasured keepsake. It too marks time and memory in one object, an interest that is reflected in other aspects of her creative life. Andria writes at the blog Donuts at Home and produces a nonfiction and poetry zine We'll Never Have Paris, also available on Etsy. 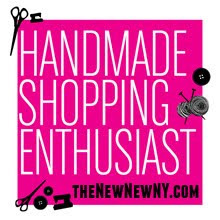 You'll find Andria and her ordinary-yet-extraodinary clocks at The Holiday Handmade Cavalcade on Sunday, December 5 in New York City. Its my birthday everyday and friends come with gifts and karaoke songs. Do you have a theme song, and what is it? What is the trait you most like in yourself? What is the trait you most like in others? I try for everyday. That being said, I just came back from a vacation, so I am in a pretty good mood right now. I still have a boyfriend. Ha! If you were to be reincarnated as a person, animal, or thing, what do you think you would be? 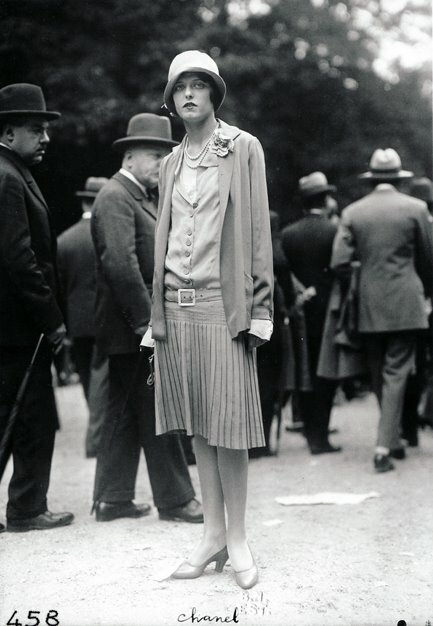 I would love to come back as a flapper from the 1920s. My apartment keys. I'm happy every time I need them to get inside and I haven’t lost them yet. Which talent or skill would you most like to have? What is it the one thing you dislike the most? Ah, so many! I don’t know! Okay, I can say David Sedaris. He branded a new kind of writing that paved the way for a lot of people, including me. 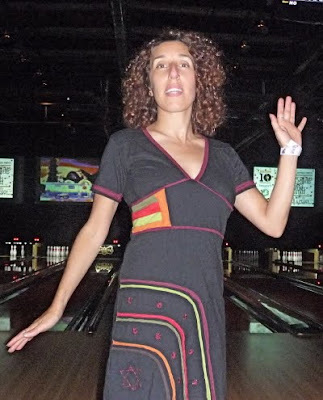 As for peers, my friend Lou Lasson is constantly improving her craft and designing new items. She puts me to shame. Is there any invention you wish you had thought of? 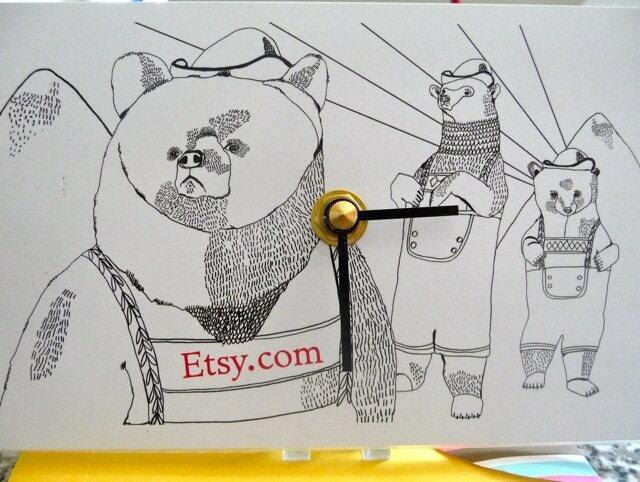 What's the oddest thing you've ever made into a clock? A halal spam container. Instead of saying spam, it had Arabic writing and a drawing of a black cow. What's the first thing you remember making? I like that I can eyeball a tea tin, or a cigar box, or a soap box, and know it will make a good clock. It kind of just happened, and now I am the clock lady. There aren't many of us. Thank you so much for this. You did a fantastic job shaping my words into a real piece, and adding all the photos and my theme song! You are great! I gave my brother one of Andria's clocks for a birthday present and he loved it. It said "The right hand doesn't know what the left hand is doing" in German. Perfect.